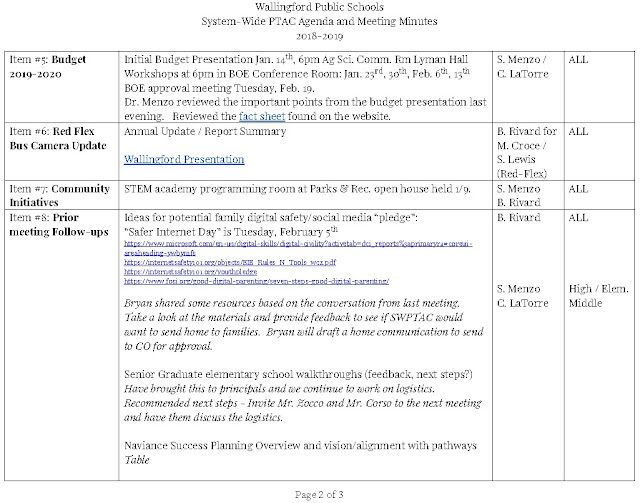 January Meeting Materials for Internet & School Bus Safety Topics...Next Meeting March 19th. 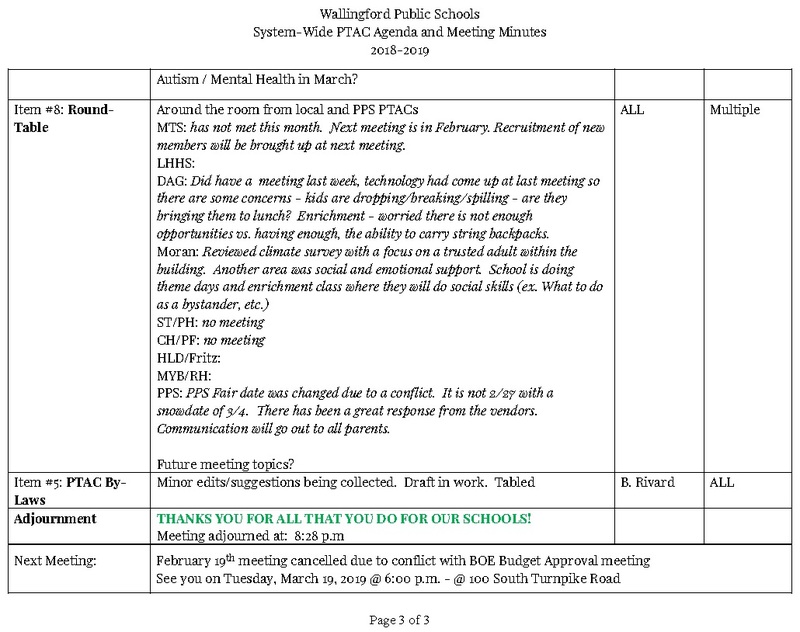 All are welcome to join us for our next System-Wide PTAC meeting to be held on held Tuesday, March 19th @ 6:00 p.m. in the BOE Conference Room at 100 South Turnpike Road. 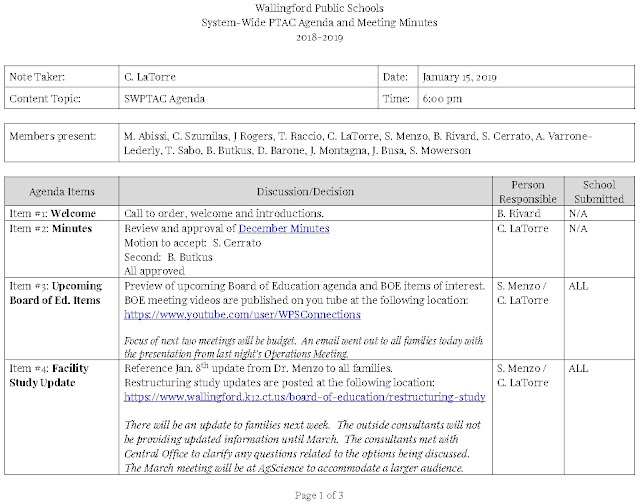 Please note: The previously scheduled February 19th meeting was requested to be cancelled to avoid a conflicting special BOE meeting, which all are also encouraged to attend. 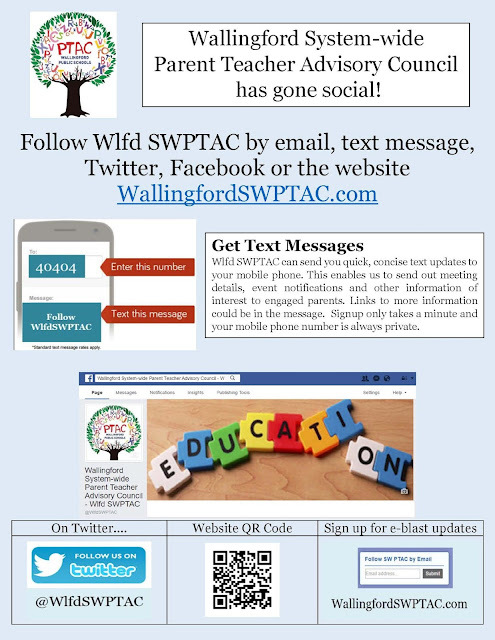 Happy New Year to the Wallingford School Community from PTAC. Posting a quick reminder of some upcoming meetings that may be of interest. All are welcome to attend. Monday, January 14th @ 6pm in the Ag Science Community Room, Lyman Hall High School. This is one of of several presentations that will occur over the course of the next 4-5 months. Budget workshops will be held Wednesdays @ 6pm in the Board of Ed Conference Room, 100 South Turnpike Rd. on January 23rd, January 30th, February 6th and February 13th. 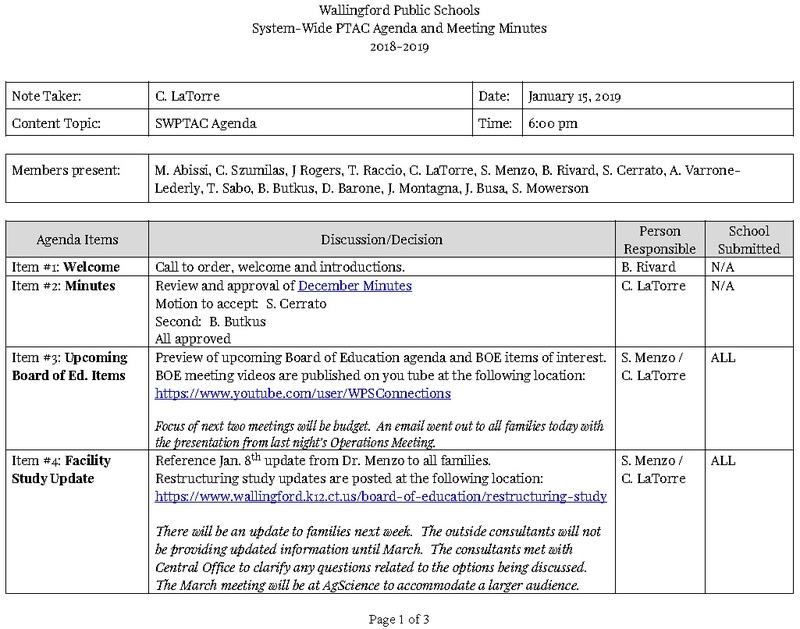 Tuesday, January 15th @ 6pm in the Board of Ed Conference Room.